Fossil’s Q Founder is already at the Google Store, but the company decided to unveil a new smartwatch and smart fitness trackers at CES 2016 this past week. The new smart fitness trackers are called the Q Reveler and the Q Dreamer, and come in unique styles, but the star of the show for Fossil was its new “analog” smartwatch called the Q54 Pilot. According to the company’s own press release, the Q54 Pilot is “inspired by vintage aviation,” meaning that it imitates old pilot’s watches from a bygone era. What this also means, however, is that the word “smartwatch” is given a different idea here: whereas smartwatches are assumed to have touchscreens, the Q54 Pilot does not have a touchscreen but instead sends LED notifications and vibrations to your wrist when you have a call, text, email, or other notification on your smartphone (Bluetooth connectivity is the path to travel here). 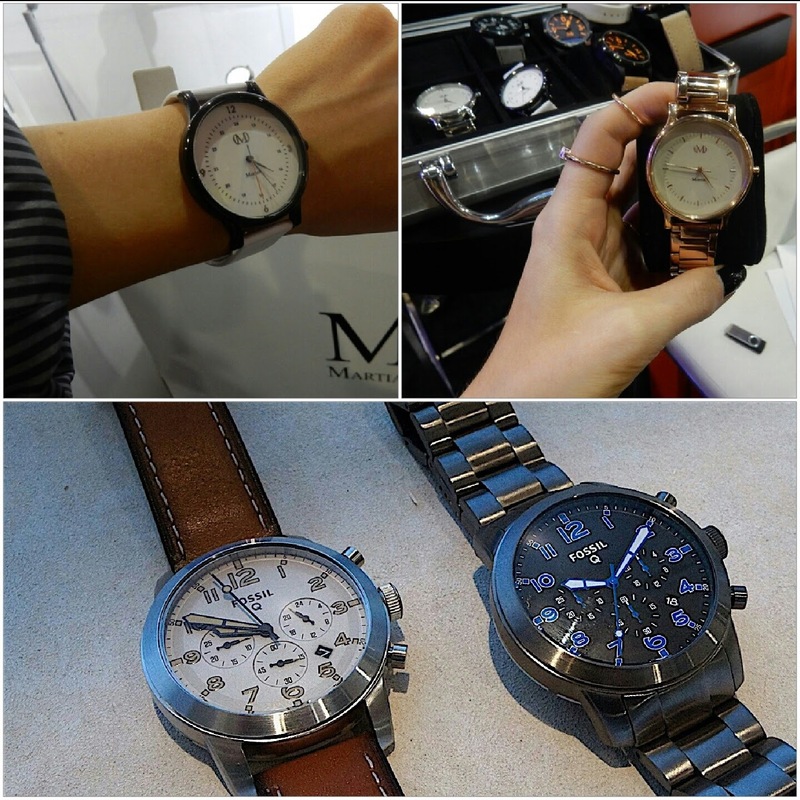 Notifier smartwatch maker Martian is also back with an “analog” smartwatch of its own, call the Kindred VIP. The Kindred VIP is a “kindred” or familiar watch: it looks like an analog watch (sans a touchscreen) and provides notifications in the same way as the Q54 Pilot: via LED colors on notifications that can alert you as to what app sent the notification. Of course, with the lack of a touchscreen, the Martian Kindred VIP isn’t call-friendly. So, you’ll have to answer calls on your smartphone as before. However, the Kindred VIP does to smartwatches what Samsung’s Galaxy S6 does to smartphones by giving you color-coded contacts so that you can know who sent a message or made a phone call. It’s smart, but only to a point. 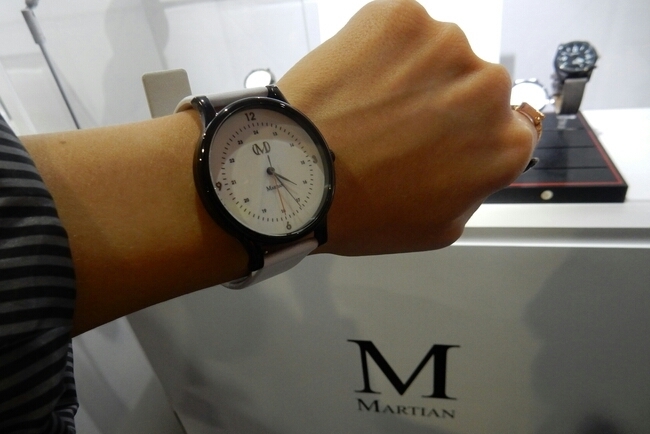 Are the Fossil Q54 Pilot and the Martian Kindred VIP a new take on smartwatches? The answer to this question is yes, both of these smartwatches provide “smart” in a more limited fashion than the typical customer is accustomed to. Smartwatches have been patterned in the same way as smartphones, which is why we’ve been hearing the claim that Samsung’s Gear S2 smartwatch “doesn’t have enough apps,” with some providing games like Flappy Bird on their wrists or downloading keyboards to type messages and texts on their smartwatches. And yet, smartwatches have limitations that smartphones do not. One of these limitations consists of a smaller display. The reality is that, no matter how smart smartwatches become, they’ll never match the smartphone in capabilities. Ten years from now, we will still defer to smartphones over smartwatches when it comes to watching movies and TV shows. The idea of “smartwatch” is getting something of a small revision, with both Fossil and Martian taking smartwatches to mean “some smart notifications without the touchscreen.” This is a new take on it, but at this point, smartwatches are relatively young in age for the mobile market and haven’t been around long enough for us to calcify a certain definition and all its specifics. That time will come, but the playing field is open to all at this point. Is there a market for the Fossil Q54 Pilot and Martian Kindred VIP? There is a market for both the Q54 Pilot and the Kindred VIP. Some individuals in the consumer market favor the old analog watches and won’t even look at most traditional smartwatches because they’re small smartphones on the wrist, so to speak. With that said, Fossil and Martian have put their best efforts into producing an analog-like smartwatch with some smart, but subtle, capabilities that won’t feel as intrusive to analog watch lovers as most current smartwatches do (like the Gear S2). Fossil and Martian’s latest “analog” smartwatches will appeal to individuals who prize the traditional look but want a little of what current smartwatch users have. I have a feeling that some analog watch lovers don’t want to answer calls and send texts on their wrists because those things just seem foreign to them and “don’t make sense” on the wrist to those individuals. I think they’re missing out on smartwatches as they should be, but again, Fossil and Martian didn’t make these two latest smartwatches for me. 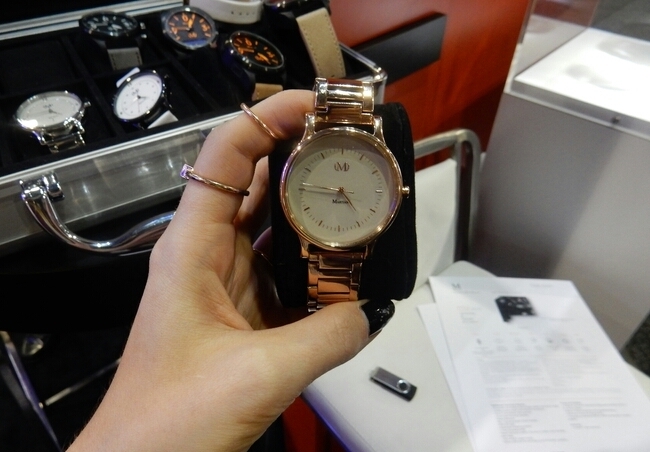 Fossil says that its Q54 Pilot will be available this April, for anywhere from $175-$225. Martian says that its Kindred VIP has 2 years of battery life (in typical, analog watch fashion), which is reminiscent of the battery life of old analog watches. No matter which of these two smartwatches you pick up, you’ll definitely spark conversation with full-fledged smartwatch owners – as this new take on smartwatches is sure to intrigue them, even if momentarily. You can find out more about the Fossil Q54 Pilot at www.fossil.com, and the Martian Kindred VIP at http://www.martianwatches.com.